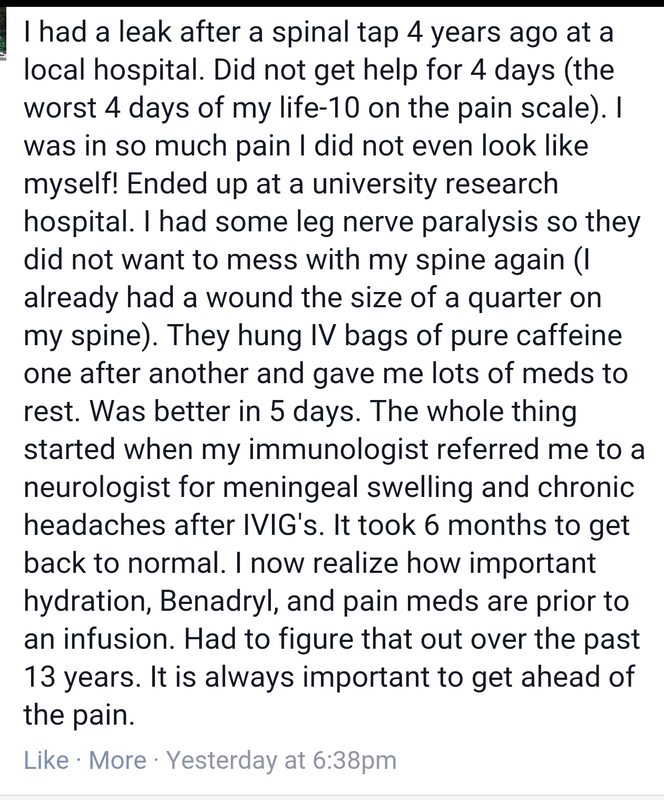 This entry was posted in CFS/ME, My story and tagged allergy, anaphylactic, anaphylactoid, anaphylax, anaphylaxis, babesia, benadryl, CFS, Chia, clinic, CVID, doctors, Gammagard, Gamunex, headache, hormones, hospital, hydrotherapy, hypogammaglobulinemia, Hyqvia, IgA, IgG, immunoglobulins, infections, infusions, intravenous immunoglobulin, IVIG, M.E., MCAD, MCAS, MD, ME, ME/CFS, meningitis, migraines, myalgic encephalomyelitis, naturopath, ND, Paracetamol, Prednisolone, prednisone, PTSD, reactions, rheumatologist, SCIG, symptoms, tylenol, vaccination, vaccine. When I went to pick up Dylan for a party to celebrate the end of the state fair he worked hard at…. and I am talking fast constant motion in a hot environment, there was a box at his door that said to refrigerate. I thought how nice someone bought the guys a present. In the car he told me it was his IVIG infusion supplies. I asked if it ever got easier and he said no but he knows it is going to happen and there is no point in fighting it. So grateful that this treatment allows him not just to live but to live a somewhat normal life. The box reminded me of the cost of that normalcy. He will be infusing Tuesday or Thursday too. There is always a home nurse. Look at all the work you’ve put in to make this go as smoothly as possible! It is impressive, admirable, and one of the many reasons I think you are awesome. I am proud to call you a friend and hope this all turns out well. If effort and determination determined the outcome, you without a doubt would end up being Superwoman after these infusions. I too have been struggling lately with things that should not be hard being made hard. For example, I am prepared for getting IVIG re-prescribed to be hard. I am prepared for all sorts of things to be inconvenient, difficult, stressful, requiring micromanagement, and so on…. However, my pharmacy filling prescriptions they are sent SHOULD NOT BE HARD. Yet, they insist the scripts aren’t there, resulting in me calling my doctors office who say they are positive the script was sent, then the next day, the pharmacy says, “Huh. It’s been here and filled since yesterday. I don’t know why the system said otherwise.” ARGGGHHH! Oh, Jackie, what a lovely comment, thank you!! I am proud to call you a friend, too. I love having someone whose research and opinion I can trust –and who is totally brave and ballsy with treatment and the continued fight for a normal life. I feel for you with the pharmacy issues. If I published the emails back and forth with my doctor and my compounding pharmacy, people wouldn’t believe the level of micromanaging needed. I really feel bad for people who for whatever reason aren’t able to stay on top of the details. Am gutted it’s been cancelled after all the build up and your meticulous planning 😦 I really hope you can get it sorted for next month instead. 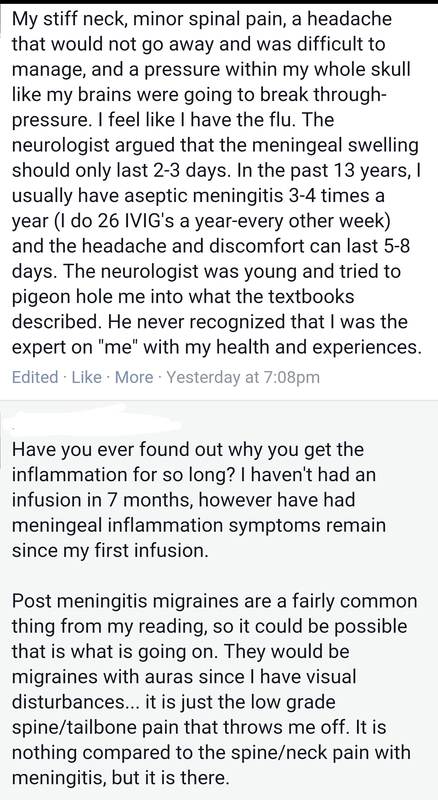 If you’re referring to the Dr I. who I saw (and I think you are because I responded to your comment about her on FB), I thought she had great ideas that have really helped me, but both she and her clinic were horrendous with communication. It’s really a bummer that they can’t pull things together better when they’re dealing with so many people who don’t have the energy to fight with them constantly. Yesterday, I asked the nurse what more I could have done on my end to get that test done, why my request was dodged repeatedly, was I asking for something difficult and nobody was straight up telling me? She is very nice, but she couldn’t answer. She just danced around the issue. I was hoping for honest feedback: The doctor was simply too busy, be patient or make a phone call instead or keep emailing, we won’t think you’re harassing us… Something to put me at ease because it’s not the way to do business. Ack. Thank you for making me feel less alone. I really appreciate it. I’m so very sorry you’ve had so many problems with her and the clinic! I’m glad I was able to help you feel less alone–because you certainly aren’t. Thanks, Michelle. And, like you, I REALLY like the doctor and want to continue to see her, just hate the communication problems.